Real Avid recently debuted its newest professional-grade system, the AR15 Armorer’s Master Kit. 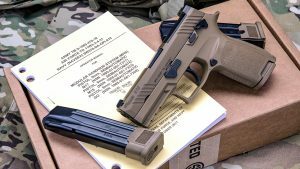 Moreover, we caught a quick glimpse of the new set at the 2019 SHOT Show, and this kit is impressive. Whether a professional gunsmith or a home builder, the AR15 Armorer’s Master Kit include everything needed to build, modify, customize and maintain an AR-15. “We came up with a solution for armorer’s and home builders alike. They’ve been waiting for a profession set of tools that makes them more capable and better prepared to take care of their guns” said Howard Tripp, Chief Innovation Officer at Real Avid. 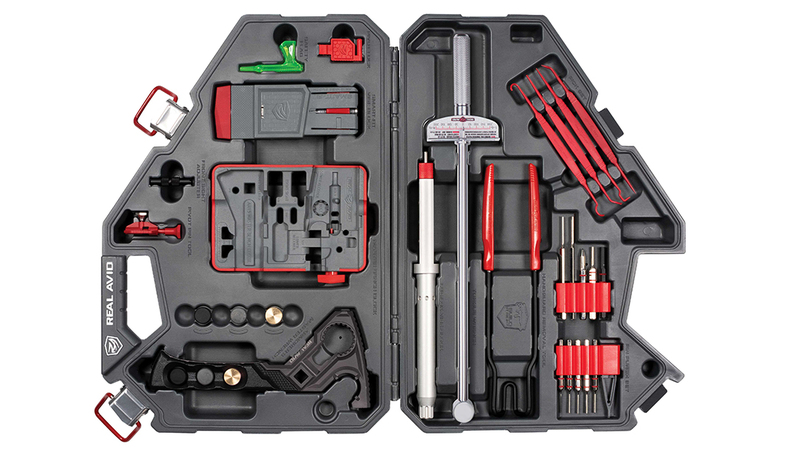 “This is a complete kit of the most profession grade tools ever assembled in an organized carrying case and we’re excited to bring it to market”. Firstly, the kit includes an Armorer’s Master Wrench, enabling users to torque barrels, castle nuts and more. Meanwhile, the Lug-Lok Upper Vise Block firmly secures upper receivers via barrel lugs. Additionally, an AR15 Smart Fit Vise Block adjusts to any size AR15 magazine well to secure lower receivers. The AR15 Pin Tool helps users deal with installation of the pivot pin, simplifying the process, according to Real Avid. Additionally, the Easy Grip Handguard Removal Tool aids in removing handguards. Further, the AR15 Master Bench Block gives access to tap 13 different pins from five different components. The kit includes a guide detailing pin use and locations. Regarding pin punches, the AR15 Armorer’s Master Kit also includes a Specialized Pin Punch Set. Real Avid says the set includes every pin punch you’ll ever need to build an AR-15. Finally, a Torque Wrench rounds out the veratile AR15 Armorer’s Master Kit. The AR15 Armorer’s Master Kit retails for $250. For more information, visit realavid.com.